1/2 bag frozen corn, defrosted or not. I use Trader Joe's. Mix all of the above in no particular order. 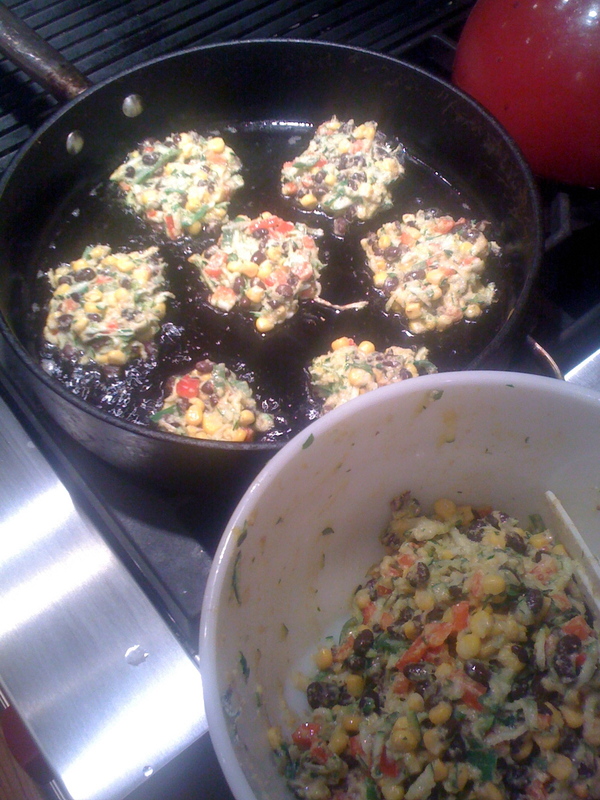 You may need to add in another 1/4 cup cornmeal if consistency is too wet (from the zucchini). Drop tablespoons of batter into olive oil, fry both sides until golden brown, drain on paper towels, sprinkle with salt. These go good with butternut squash or tomato soup, or tossed on top of a spinach salad. They are also good on their own with beer and heartache.